NEW YORK--(BUSINESS WIRE)--As Small Business Saturday wrapped up its seventh year on Saturday, November 26th, the outpouring of support for local businesses across the country hit record highs with 72% of U.S. consumers aware of the day. More shoppers reported visiting local independent businesses on Small Business Saturday this year than ever before, according to results from the Small Business Saturday Consumer Insights Survey, released today by the National Federation of Independent Business (NFIB) and American Express. This year, an estimated 112 million consumers reported shopping at small businesses on Small Business Saturday, marking a 13 percent increase from 2015. Small Business Saturday saw record levels of support from communities and local organizations in 2016. More than 6,700 Neighborhood Champions from the Great Lakes to the Gulf Coast and from the Pacific Northwest to New England rallied local businesses and created events in their communities for Small Business Saturday — an increase of 63 percent over last year. Additionally, the estimated number of small business owners reached through the Neighborhood Champion program was 2.1 million. More than 480 organizations joined the Small Business Saturday Coalition, a 13 percent increase over last year. The Coalition, a group created in 2011 to help amplify the Shop Small® message, is comprised of national, state and local associations that help coordinate activities for Small Business Saturday with consumers and small business owners. Consumers came together to show their love for small businesses on Small Business Saturday. Among those who shopped on the day, 32% reported attending a community event, and 81% reported encouraging friends or family to shop or dine at small, independently-owned retailers and restaurants on the day as well, both on par with 2015. Additionally, consumers and small businesses helped rally support for Small Business Saturday and their favorite small businesses on social media channels. So far this month, there were 135 million social media engagements in support of Small Business Saturday, up from 85 million in 20151. At a time when an increasing number of consumers are opting to shop online—and are spreading their holiday shopping spending over a longer period of time than they did traditionally—many still prioritize visiting brick and mortar small businesses on Small Business Saturday. According to the survey, among U.S. consumers who went out and shopped in-store, total reported spending reached an estimated $15.4 billion at independent retailers and restaurants on the day, a decrease from the estimated $16.2 billion spent in 2015. Although Small Business Saturday 2016 is now behind us, American Express’ commitment to local businesses remains steadfast. 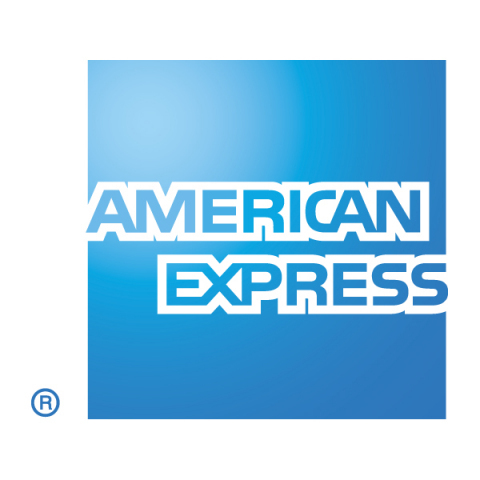 To keep support for small business strong through the rest of the holiday season, American Express is giving Card Members the opportunity to earn 2x rewards when they enroll an eligible American Express® Card at http://www.amex.co/shopsmalloffer and shop at qualifying small merchants both in-store and online now through December 31st2. With the addition of 1.6 million merchant locations that started accepting American Express Cards over the past two years, Card Members now have even more places than ever to Shop Small3. When Card Members use an eligible Card to shop at qualifying small merchants they could earn 2X rewards in the form of what they already earn with their Card– from Membership Rewards® points to miles with Delta® to Cash Back and more. This offer is the latest way American Express is supporting the expanding network of small merchants who accept American Express Cards by giving Card Members yet another reason to Shop Small throughout the holiday season. President Obama issued a letter recognizing Small Business Saturday in 2016. Elected officials in all 50 states and Washington, D.C. championed Small Business Saturday. A total of 288 Federal Officials and Agencies showed support for Small Business Saturday through posts on Facebook and Twitter. The United States Senate unanimously passed a resolution designating November 26th, 2016, as Small Business Saturday. 651 City proclamations in support of Small Business Saturday were issued by mayors and other elected officials in all 50 states and Washington, D.C.
Nine Public Service Announcements encouraging the public to “Shop Small” were recorded by government officials across the nation. In a substantial show of corporate support, nearly 100 companies, including FedEx, Uber, AT&T, Valpak and Ace Hardware signed up to become Corporate Supporters of the day and helped promote participation in Small Business Saturday. Corporate Supporters helped rally their combined millions of small business customers and consumers to take part in Small Business Saturday. Their efforts ranged from connecting their small business audience with assets to helping them get ready for Small Business Saturday and distributing Shop Small merchandise, to posting on social media and rallying their tens of thousands of employees to Shop Small. Small business owners successfully used the Shop Small Studio more than 85,000 times for marketing materials and/or merchandise to help promote their businesses on Small Business Saturday. From the first of November through the 26th, there were nearly 250,000 social media posts combined on Facebook, Instagram and Twitter using #ShopSmall, #SmallBizSat and/or #DineSmall, and more than 150,000 were posted on November 26th alone4. Posts included consumers showing their love for their favorite small businesses, business owners raising awareness for promotions and activities taking place on Small Business Saturday, as well as government officials and celebrities showing their support for the day and their favorite small businesses. The Small Business Saturday Consumer Insights Survey was conducted among a nationally representative sample of 2,180 males and females 18 years of age or older. The sample was collected using an email invitation and an online survey. The study gathered self-reported data and does not reflect actual receipts or sales. It was conducted anonymously on November 27, 2016. The survey has an overall margin of error of +/- 2.1%, at the 95% level of confidence. November 26th marks the seventh annual Small Business Saturday, a day dedicated to supporting the local businesses that can help create jobs, boost the economy and preserve neighborhoods around the country. Small Business Saturday was created by American Express in 2010 in response to small business owners’ most pressing need: more customers. Learn more and connect with us on ShopSmall.com, instagram.com/shopsmall, facebook.com/SmallBusinessSaturday, twitter.com/shopsmall. NFIB is the nation’s leading small business association, with offices in Washington, D.C., and all 50 states. Founded in 1943 as a nonprofit, nonpartisan organization, NFIB gives small and independent business owners a voice in shaping the public policy issues that affect their business. NFIB’s powerful network of grassroots activists sends their views directly to state and federal lawmakers through our unique member-only ballot, thus playing a critical role in supporting America’s free enterprise system. NFIB’s mission is to promote and protect the right of our members to own, operate and grow their businesses. More information about NFIB is available online at www.NFIB.com/newsroom. 1 Social media engagements are defined as any proactive action taken by a social media user related to the Small Business Saturday or Shop Small related social media content and conversations on Facebook, Twitter, Instagram, YouTube, including but not limited to, likes, shares, comments, video views, etc. 2 Card Members will not earn 2X rewards on any bonus they may already enjoy with their Card, such as when they spend on certain types of purchases or at certain merchants. Prepaid and Corporate Cards, American Express Cards issued by other financial institutions, The Plum Card® and certain other Cards are not eligible. Reward caps and other terms apply. 3 Based on internal comparison of American Express small merchant locations in December 2013 to American Express small merchant locations in December 2015. 4 This includes the hashtags #ShopSmall, #SmallBizSat, #SmallBusinessSaturday, #ShopSmallBusinessSaturday, #ShopSmallForAll, and #ShopSmallSaturday .